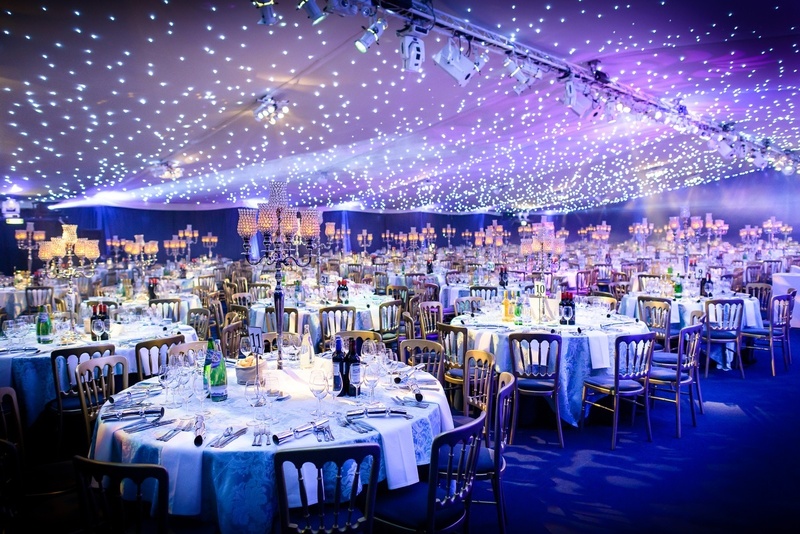 Lighting can be extremely important for your event. 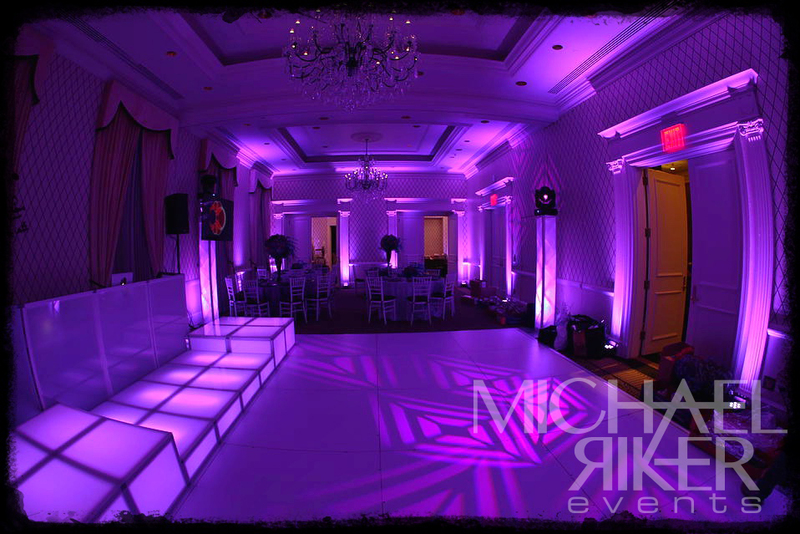 Depending on your affair, lighting can set the mood of your theme and motivate guests to dance. There’s different types of lighting that can make this magical color spectacle happen. Intelligent lighting is a term used for an innovative type of party or stage light. Their automated mechanism allows the lights to move and create complicated and colorfull effects. 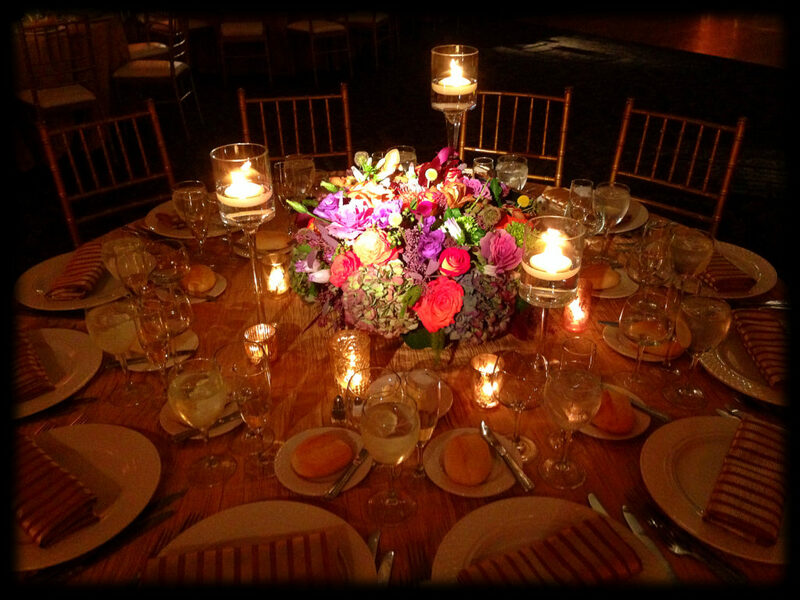 For celebrations, intelligent lighting can create lighting arrangements of your desired color to match your theme. For theatricals, they can change the stage from daylight to dusk. Moving heads and scanners are the most up to date technology in the intelligent lighting spectrum. Very narrow beams of light are focused on specific elements in the room highlighting them. 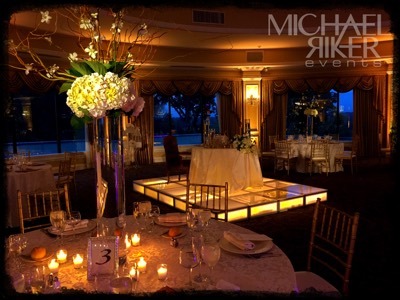 Centerpieces, the cake table, place cards, guestbook area, sweet heart tables, bar areas can all benefit from this type of lighting. This type of lighting is key to create a high end, elegant, high contrast look. The extra light at each of the tables allows the overall ambient light in the room to be lowered allowing us to create the perfect ambiance. 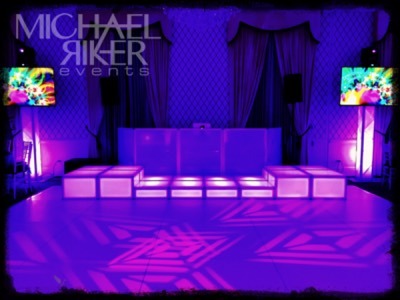 Michael Riker Events, illuminated and gloss black multi-level stages allow you to create customized looks at your event. Some of the uses that these stages create allows for staging of any size, shape or configuration. Some of the uses of these stages include:Band Riser, Dance stages, Illuminated Dancefloors, Runways, Walls, Bars, Tables, and Bride and Groom Shadow Stages are just some of the many ideas we can create. 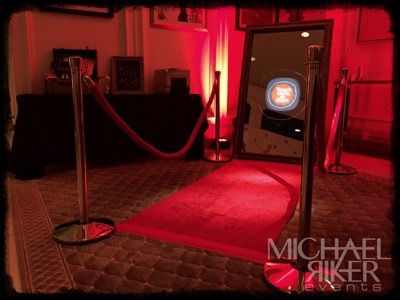 Our new state of the art Mirror Mirror Photo Experience is guaranteed to take your event to the next level! Our fully interactive touchscreen mirror will entertain you and your guests and keep them smiling! Mirror Mirror from Michael Riker on Vimeo. 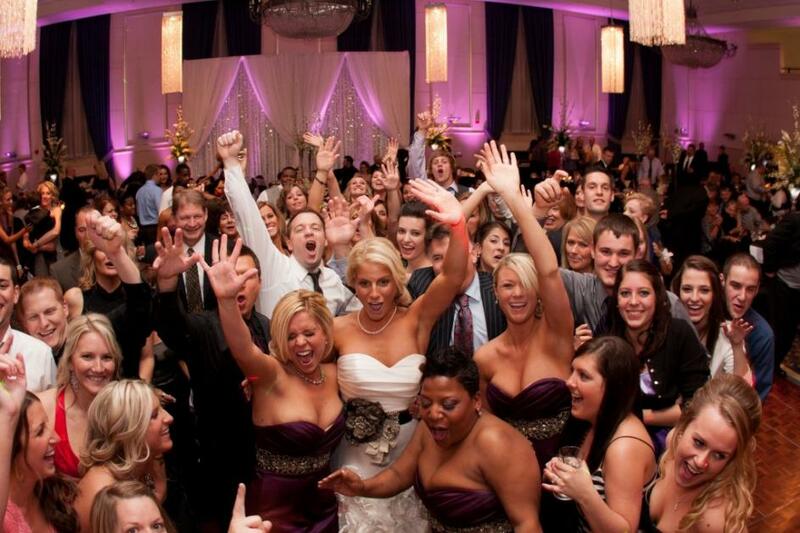 Add musicians to your event to give it that live band vibe. A step and repeat banner is a publicity backdrop used primarily for event photography, printed with a repeating pattern such that brand logos or emblems are visible in photographs of the individuals standing in front of it. Step and repeat banners are common fixtures of red carpet or fashion events, or custom-printed for weddings, sweet 16, bar/bat mitzvah’s and or galas in order to give a more “celebrity-like” feel to attendees’ photos. 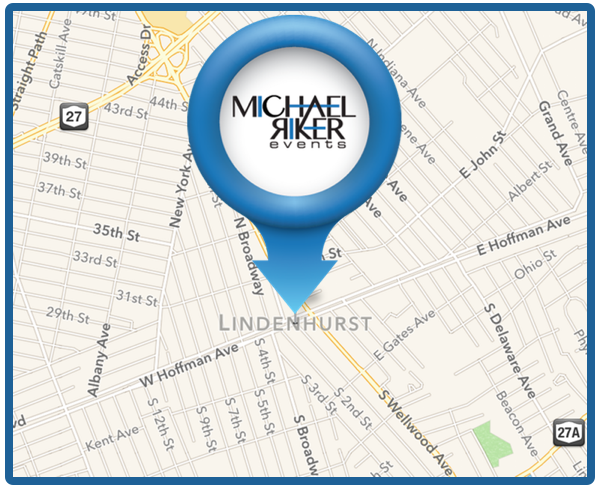 Contact Michael Riker Events today to discuss how we can customize your event with different giveaways and more to create the the perfect accent to any party! No matter the theme we can work with you and get what you need to make your event above and beyond what your guests would expect!